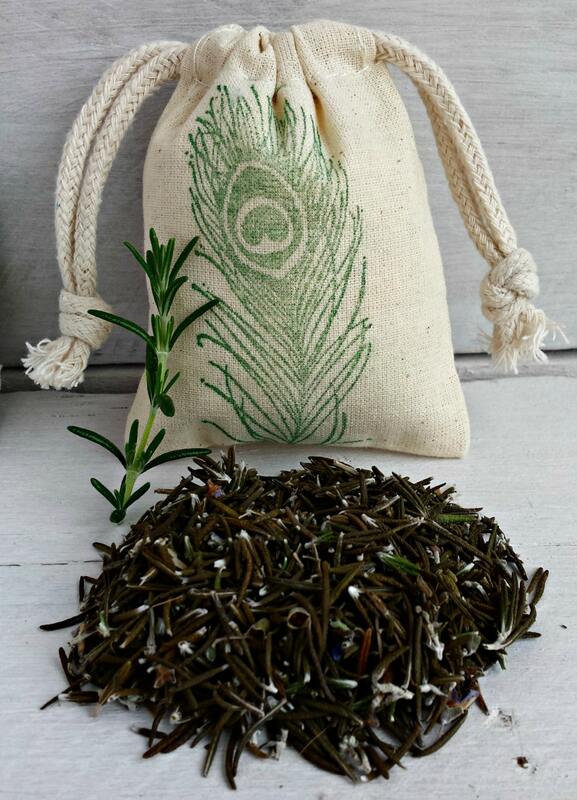 Organic Herb Sachets in Muslin Bags:This listing is for one sachet filled with dried rosemary from our garden and a stamped green feather print on the front. Beautiful scent! Keeps my clothing smelling like fresh herbs. Amazing sachet bags. Scent is great and bags are cute & sturdy. These are fantastic smelling sachets and they are in my bathroom on a shelf and now it is such a pleasure to enter that room and smell such wonderful scents. Thank you! Arrived super quick and smells great!